CFS was founded on the principle of integrity and we are committed to supporting our partners as they grow and succeed. We offer four main types of referral programs. Whether you are a banker, broker, CPA, attorney, insurance agent, or other referral source, we can help you and your client through the process, close your deal, and add to your bottom-line. As a trusted partner, if you refer a deal to us and it closes, we pay a residual commission for the life of the deal. Refer a Friend: Do you know someone whose business is struggling due to a lack of cash-flow? A CFS funding program can help our clients unlock their true potential. 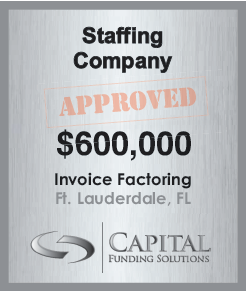 Our funding programs are designed to alleviate cash-flow issues for a wide variety of companies in numerous industries. Do you have a client or friend you would like to refer?